During our lives, most of us take part in many activities in a group setting. We attend school and classes as a group. We join bowling leagues or soccer teams. Many of us are members of various organizations. Those who attend church services are part of a congregation. There are several other groups that one might join during their lifetime and most people enjoy this interaction with others. When joining an exercise program, a client usually has a choice to take part in group classes or one-on-one private classes. Trying to choose which option would be the best fit is often a difficult decision. However, with the high cost of working with a private trainer, the majority feel that exercising with a group will give them an adequate workout. A number of studies have shown that in the end, taking part in a group exercise class has the most beneficial results. Zumba workouts have risen in popularity over the last decade. Group exercise classes became popular in the 1970s and 1980s. It was during this time that Richard Simmons and Jane Fonda introduced the aerobic workout to the public. Various types of workouts became popular, including Jazzercise, bicycling and Spinning. In the 1990s, group classes included Body Pump and Tae Bo classes. Pilates, yoga and Zumba classes became a favorite of many. Boot camps and CrossFit classes followed these. Today, with the variety of classes available, most people will find a class that is perfect for them. Why is Group Exercise a Good Choice? 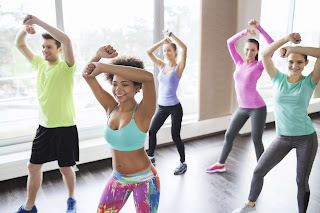 What makes group exercise classes the best choice for most people? There are several factors. One immediate benefit is that the cost is usually much less than one-on-one training. Those who cannot afford private classes can still take part in the group classes and reap the benefits of doing so. Most people have been told that exercise is necessary to remain healthy but do not know where to start. Joining an exercise group gives a person a choice of classes and levels. Becoming a member of a class helps one overcome their reluctance to taking that first step. Taking part in an exercise class provides those in the class an opportunity to meet new people and make new friends. Moreover, a group class challenges one to work harder than if they were exercising at home alone. Everyone is working towards the same goal, and the trainer will push everyone to do his or her best. Studies have shown that when working out in a group, people tend to push themselves harder than when they are exercising alone. This may result in them burning more calories as well as increasing their endurance and strength beyond their perceived limitations. Those in a class motivate each other to stay on track to reach their goals and to keep one another accountable. Besides the physiological benefits of group exercise, there are psychological benefits as well. Exercising is one of several activities that stimulate the release of endorphins. These chemicals interact with receptors in the brain that block pain and produce a euphoric, happy feeling. Often, doctors recommend group exercise for their patients diagnosed with anxiety or depression. Exercise, which most people enjoy, is also a great stress-buster. Working out in a group can be physically and psychologically beneficial. 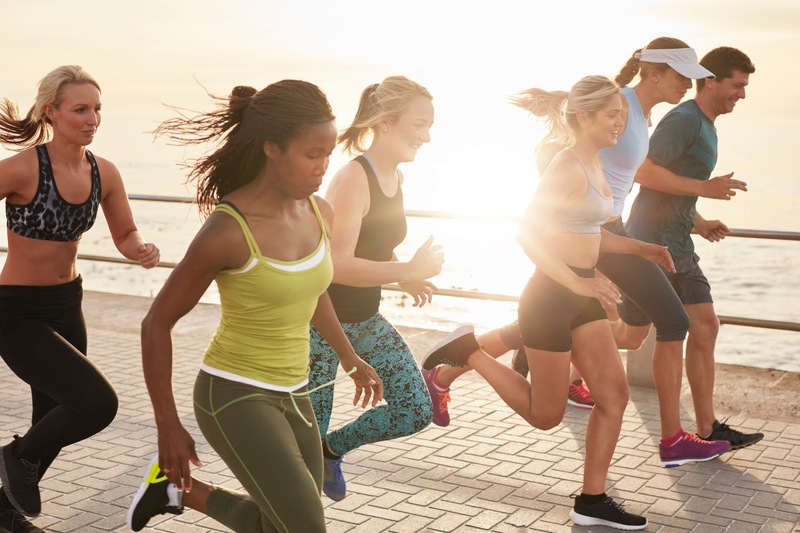 Studies have shown that whether it is a game of soccer, a run with a friend or an exercise class, most people perform better when paired up with others. It may be due to the inspiration or competition found in a group, but no one wants to let a team member down. In many cases, they perform even better on the task than they believed they could. Everyone is aware of the value of exercise, and taking classes as part of a group may be the way to go. This manner of exercising has many physiological as well as psychological benefits. For most exercise classes, the only equipment one needs to bring to class is themselves. Today, exercising is more important than ever, and there is no good excuse not to try it!